H1B VALIDITY DURING SEVERANCE PAY? During such situation, employers inform you about (1) Separation Date (2) Termination Date. Most likely , they are different. Legally, both the dates are informed to USCIS. Your 60 day period starts on the "Termination Date". Separation Date is the date when, Employer Informed Employee of relieving of all duties as mentioned on the offer under "At Will" employment clause. Termination Date is the date negotiable , i.e. Either (1) Same day as Separation date (2) Last Severance paycheck date or (3) Any date agreed upon between employer and employee before Last severance Paycheck date AND after Separation date. I have been laid off in the past and dealt with such situation with immigration attorneys. And, requested my then employer to make my last severance paycheck date as my termination date which is informed to USCIS as my last day starting which I get 60 days. Severance amount on pay stub. Will this cause H1B transfer problem? Would not bother any of the process. Severance pay should be specified in certain manner on your paystub which is outside of your hourly wage. I am sincerely sad to read this through. I can understand the emotions behind it. The sense of being crushed overnight is real. I am sorry for you. 3) Since you have I140 approved you have 60 days grace period to find a new employer. 4) No. You have no say in this process. 5) I94 expiration is going to conflict with your 60 days grace period. I94 date holds precedence over Grace period. 6) Yes, having an I40 approved is your leverage and employers who are willing to invest in you will see that as a +ve giving you an upperhand. 7) I140 once approved and priority date is issues, consider that as your personal property. Until you lapse that period after it becomes current you own it. Make sure you find an employer before it becomes current and the one willing to take it over. Once again, m sorry and if you are around Boston area and need help with anything PM me to contact me. The details of Company B vs Company A Role, SOC codes etc details matter just in general context. During Company A H1 renewal the rejection you had for Company B's petition will not hold any bar. What Company A has filed as your Role, Job description, SOC codes, Title change(if any), your skills will be prime factors. @Satya2k1 People are not skeptic about the H1B process but in context of the question I posted. The limitation faced to switch jobs within 2 weeks vs upto 6 months of timeline that process would now take has hit employers and the job seekers both. And I am on the both sides as well. Employers, who planned this year with headcount and budgets for their strategy they planned have taken a hit on hiring and have become Yes Skeptical about how to proceed when the many of the job candidates pipe lined for Sept- Oct hires are not willing to join before H1 approval and on the receipt. Employees, who are in need of the job not just for Visa status continuance but also for the family they support are now being hit where employers are putting the position on hold, retracting offers or being laid off and need jobs asap. EEO employment refers to "Nationality" however no one will give you in writing as a reason that current premium processing is the reason behind the mess but hey you and me and many others have been part of the game long enough to know the truth. and while "USCIS haven't changed a thing in their H1B approval policy, earlier they use to be very leisure and approved h1Bs without checking credentials, but now they are following their policy strictly and thoroughly going through each and every step/document" is partially agreeable the context and the question here is about "Suspension of Premium Processing" which is unrelated to above quote. For Real, there are 3 Job Offers made to me and I am currently employed with Company A . Since, premium processing is suspended and RFE process abolished risk of "denial" is high. Can I say "Yes" to all 3 offers and have them file my H1B transfer petition? If all 3 get selected I will join my 1st Preference employer but for any reason any of them get Denied I will have backup plan. Question - Is that legal to proceed? This may result into "Damages" but I will deal with that later. Let me know Thanks. 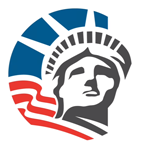 USCIS Extends and Expands Suspension of Premium Processing for H-1B Petitions to Reduce Delays . Thanks @NotAnAttorney That helps. So, if I am changing job from Google to Apple - Employers being "for profit" I can't have Premium H1 B transfer. I am confused, doesn't the rule say CA and Nebraska will do the Premium Processing for H1 Transfers for cap exempt ? I don't mean to hijack the thread but additional question on same topic : --> Does this mean, you can still file Transfer petition in CA processing center irrespective of your location across United States ? Why ? It seems to be proposed by republicans while house majority is republicans and we heard overwhelming “yay” during amendment that was added. How , by who, why and when would it stumble? Question is Based on this released policy change.Policy On page 5 under (2) Consideration prior to Issuing RFE mentions officers will obtain all pertaining evidence submitted prior by various means before issuing RFE. Or does this policy as a blanket understanding means “ There will be no RFEs , direct rejection” ? please peovide your input.